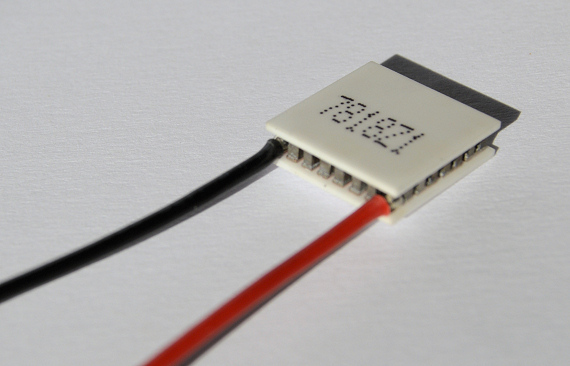 With a Qcmax of 13 watts (Th 27 °C), TM 31-1.0-6.0 is our most powerful single-stage thermoelectric module with a 15 x 15 mm footprint. It's also the thinest. Used for spot cooling, heating and thermal stabilization and is employed in a wide range of applications including electro-optic/photonic, fiber optic, aerospace/military, telecommunications. 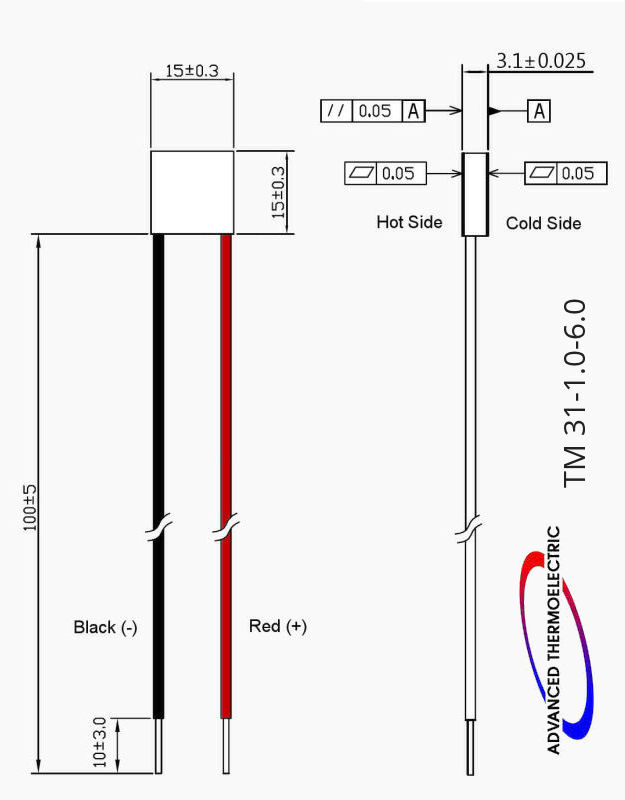 TM 31-1.0-6.0 is frequently used in electro-optic and photonic applications, including some lasers, detectors and sensors to maintain a constant temperature stabilizing the wavelength of the device or package. 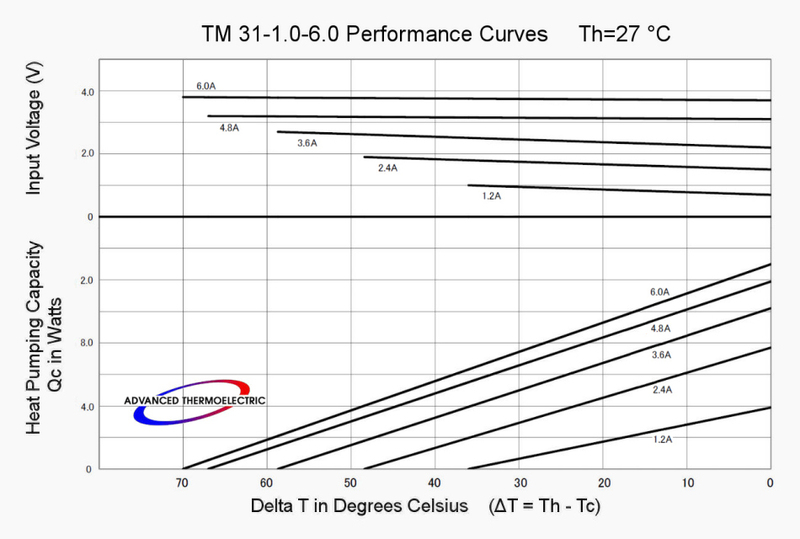 Curves with Th = 27 °C indicate what to expect operating a well designed, fan cooled, assembly in ambient temperatures around 20 °C (70 °F) with an operational "hot-side" temperature or "Th" about 7 °C above ambient. 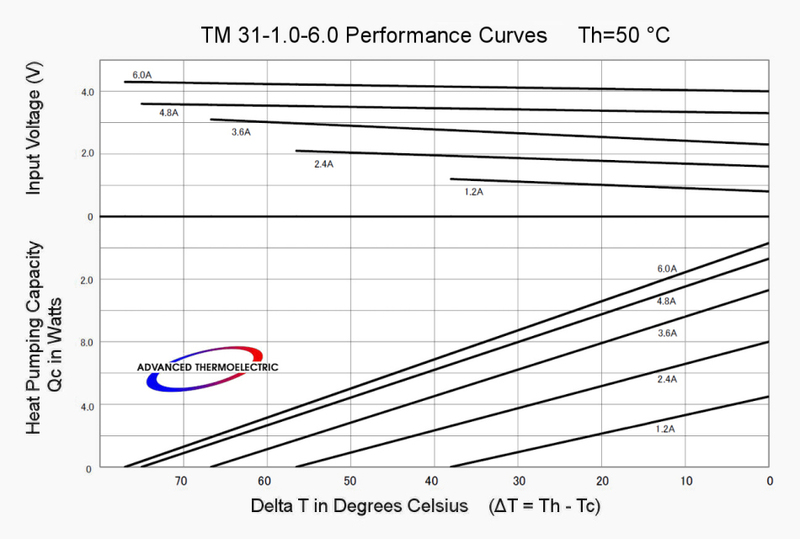 Curves with Th = 50 °C indicate performance expectations from assemblies with (relative) ambient temperatures in the 40-50 °C range. 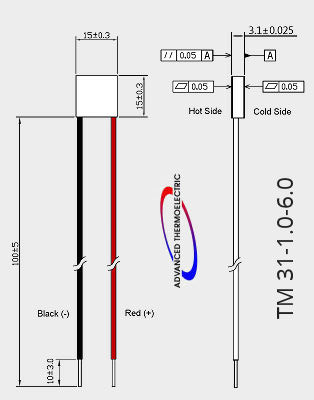 This includes assemblies with limited heat-sinking space yielding hot-side temperatures about 30 °C above ambient, marginally ventilated enclosures, outdoor, box-in-box, and other applications with warm temperatures around the hot-side of the TE assembly.